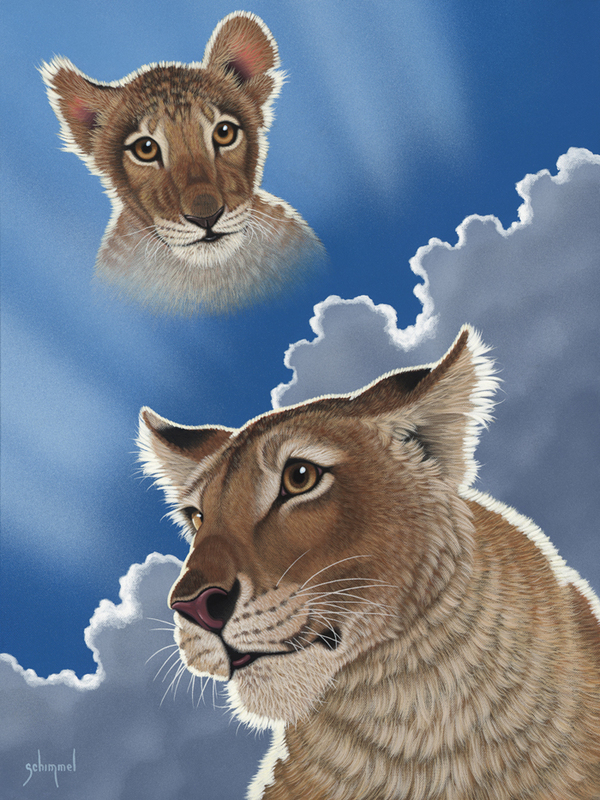 During the month of November I had the privilege of painting a very special commission for Cathy, who had contacted me to share her story and photos of “Sheena,” a beautiful lioness that Cathy raised at her home. Cathy eventually had to transfer Sheena to her new home at the Popcorn Park Zoo in New Jersey. Sheena lived there for many years before she passed away. “Forever Sheena” is my tribute to both Cathy and Sheena, and the wonderful relationship they shared. Thank you Cathy for the honor of painting your beloved Sheena.